L-Arginine 5100 contains 5,100 mg of l-arginine, the recommended clinical dosage to help achieve improved cardiovascular health. L-arginine is a naturally occurring amino acid that is made within the body as well as gained through various foods, such as turkey and nuts. 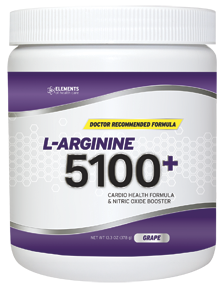 L-Arginine 5100 utilizes both l-arginine and l-citrulline to increase the production of nitric oxide within the bloodstream; increased nitric oxide helps dilate constricted or inflamed blood vessels, allowing more blood to flow. These ingredients are scientifically proven to naturally improve cardiovascular health through decreased blood pressure and cholesterol levels; boost the immune system; and increase energy levels. L-Arginine 5100's innovative formula is specially made to ensure optimal results with minimal side effects, using only natural ingredients and added vitamins to further aid in the reduction of damage in the inner lining of the arterial walls. Because it is safe and naturally effective, chiropractors can confidently recommend L-Arginine 5100 to patients of all ages. 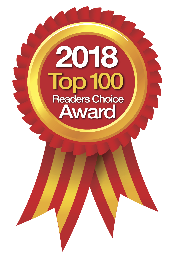 Additionally, special pricing is available for chiropractors, and the company can also set up a link to which you can direct your patients so that they can order directly under your account, without the hassle of practitioners having to carry inventory in their clinic. And as you educate your patients about the important benefits of an amino acid vasodilator, you will also increase your practice's monthly income.